Food, Glorious Food | Crowlas & Ludgvan W.I. 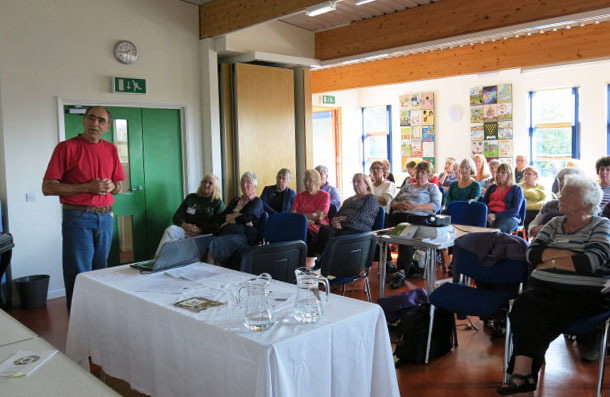 As part of NFWI’s ongoing Great Food Debate, a full day was held recently at Chy Noweth on the subject of food waste. Titled ‘Food, Glorious Food’, it dealt with the issues of food production, sustainability and security. Andrew Holden, Procurement Director at the Eden Project, gave a brilliant talk about Eden’s food story and food ethos – linking the plant to the plate. We could have listened to him all day! Then Colin Olver, a regional manager with the Co-op, gave the supermarket perspective on food waste. He introduced Monica Price, a dynamic nutritionist and broadcaster who also demonstrates at the Royal Cornwall Show, and she introduced us to the “Love food, hate waste” campaign. Esther O’Bearagh from Cornwall Council – a great speaker herself – gave us the scary facts and amusing anecdotes about household food waste, landfill and recycling. Then Paul Sousek from Cottage Farm, a sustainable organic carbon neutral farm powered by renewable energy energy and producing organic beef and lamb, gave us his own local sustainable farming experience. 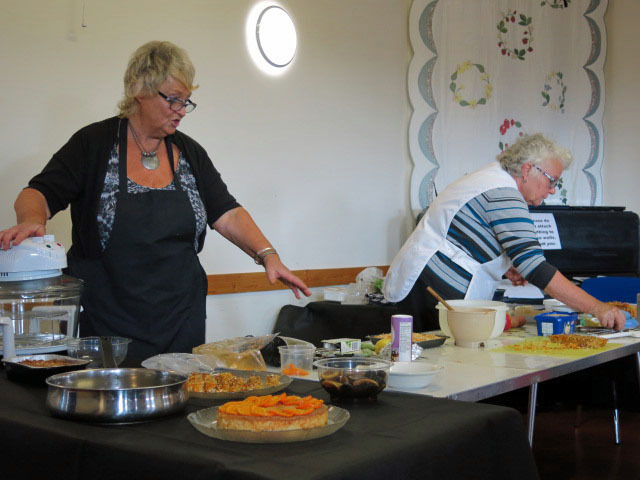 After that Gill Keeble (from the Environment and Public Affairs subcommittee) and Dot Rogers (from the Home Economics subcommittee) took the stage with their lively and entertaining cookery demonstrations on our theme “too good to waste”. They gave us lots of lovely simple innovative ways to use leftovers. And we finished the day with a feast of delicious tastings. A good day all round and we ended with lots of ideas to take forward! Click here to find a few handy and easy recipes for using up leftovers and helping to fight food waste. This entry was posted in Uncategorized and tagged CFWI, food, Great Food Debate, NFWI, public affairs. Bookmark the permalink.